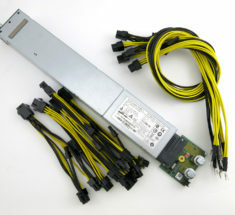 HP 1200watt Platinum PSU kit for ASIC and GPU mining and any miner that requires less than 1200w of power at the wall. 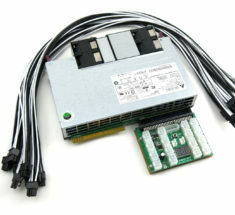 With proprietary X-Adapter REV: 8, (10) 26inches 6-pin PCI-E 16AWG, and (4) heat resistant rubber foot pads included. 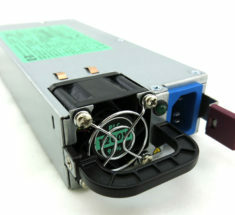 1400 Watt Delta ASIC Miner Power Supply. 200-240V 12.5V Platinum Rated 94% efficiency. 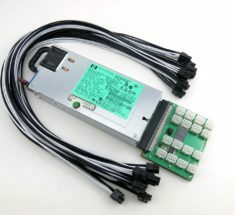 1100w Power Supply Kit for GPU or ASIC mining. 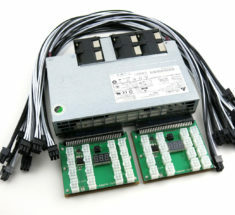 Kit includes 1100w power supply, breakout board, and high-quality PCIe cables. 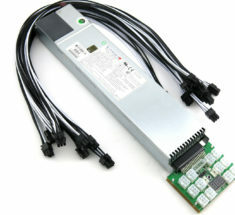 HP 1200W Innosilicon A5 Power Supply 110-240V 80+ Platinum 94% Efficiency certified. 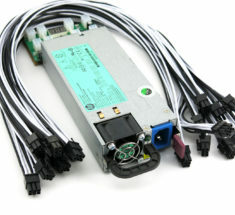 Includes (1) HP 1200W PSU, (1) X7B Breakout Board, (7) 6pin to 6pin 16AWG PCIE cables. 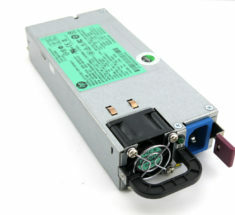 HP 1200watt PSU kit for Antminer S3, S5, D3, L3+ and any miner that requires less than 1200w of power at the wall. 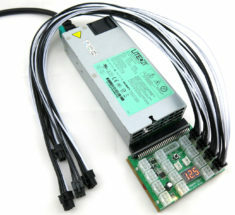 With proprietary X-Adapter REV:6, 7, 8 or 11, "Please selected the amount of cable" 26inches 6-pin PCI-E 16AWG, (4) heat resistant rubber foot pads included. 1200watt PSU kit for GPU Video Card Mining. 80+ Gold High Efficiency at 92%. kit include proprietary X-Adapter REV:20, set of (10) 26inches 6-pin to 6-pin PCI-E 16AWG, (4) heat resistant rubber foot pads. 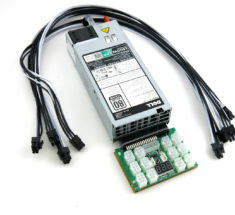 80+ Gold Rated LiteOn 1100watt PSU kit for GPU’s mining. With proprietary X-Adapter REV: 11 or X6B “Please selected the amount of cable require ” 24 inch 6-pin to 8 6+2 Pin PCI-E 16AWG, (4) heat resistant rubber foot pads included.